Blanca Montes is one of the foreign exchange students attending Lakewood High School this school year. Montes is a senior from Spain. I sat down with her and asked her a couple questions pertaining to her time at the high school and the U.S.
Q: What is your favorite thing about Lakewood High School? Q: What has taken you by surprise? Q: What is the biggest difference between countries? Q: What is one thing that you are looking forward to doing while here? 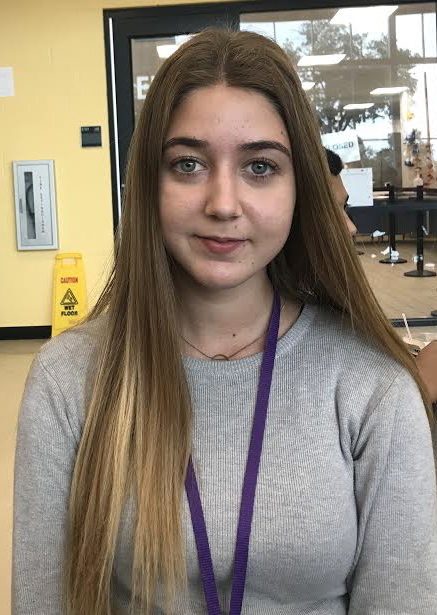 Montes is disappointed that she only gets to be here for a school yer, but is glad that she has the opportunity– especially when one of the benefits is being Student of the Week.